It’s not hard to get better when you’re the worst in the NBA. The New York Knicks took a step in some direction by signing Arron Afflalo, and are now waiting for Greg Monroe to say yes to their offer. From the joke of the NBA they’ve turned into… well, they’re still projected to be pretty bad. Don’t get me wrong. Afflalo is a good player and decent scorer, and his two-year deal worth $16 million isn’t a bad piece of business at all for the Knicks, also giving him a player option for the second season. But where is all this going? 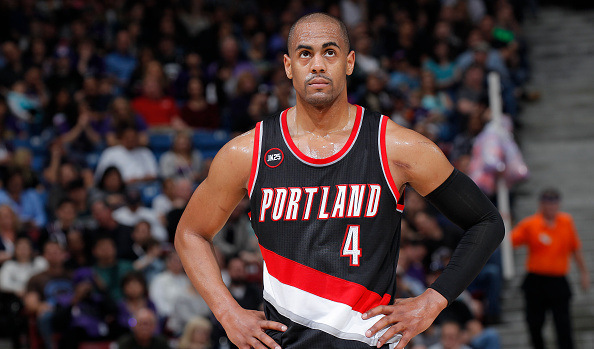 Afflalo didn’t get to do well for himself or his team last season. Traded to the Portland Trail Blazers from the Orlando Magic, he entered a role a bit bigger than he expected once Wesley Matthews went down with an injury. He averaged 10.6 points while shooting just 41.6% from the field in Portland, and didn’t really make any positive difference in his short time on the floor during their brief playoff appearance. But it does give the Knicks scoring and some outside shooting, and someone proven besides Anthony. It might not mean the Knicks are making the playoffs next season, but there’s the start of something. If they sign Greg Monroe, things will look a bit more serious. Still, this team is empty of talent, and the Knicks plan to fill the other positions out only after they land one big or semi-big fish in free agency, but things could be worse. Monroe is rumored to be deciding between them and the Blazers. David West spurned the Knicks, saying he wants to win, leaving them out of his free agency equation. Monroe mostly wants to get paid, which he could do at Detroit but didn’t feel wanted there. In New York, he could make a bigger difference, and give Knicks fans something to be optimistic about for the first time in over two years.